Dear Mamma, Mrs. Groesbeck says you can have the test for $5 -- I told her that you bot (sic) one she wanted me to askyou as she forgot about it. Have had lots of rain lately. Put up some peaches. There's green tomatoes in the vines. The Fire Brow(?) is over was awful noisy. No News. Nell. Are you alone? Ruth don't like N. Platte. 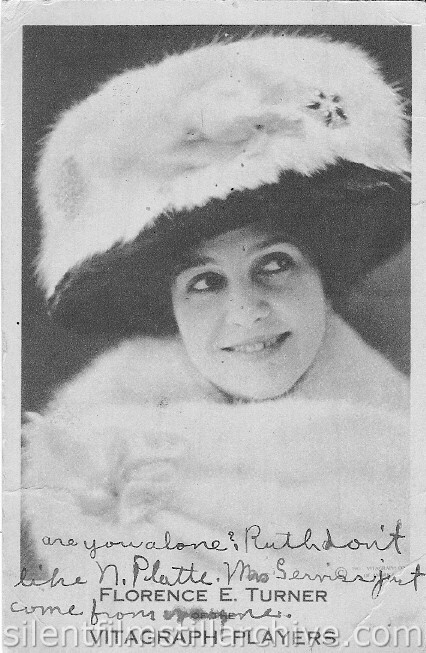 Mrs. Serviss just came from (??). 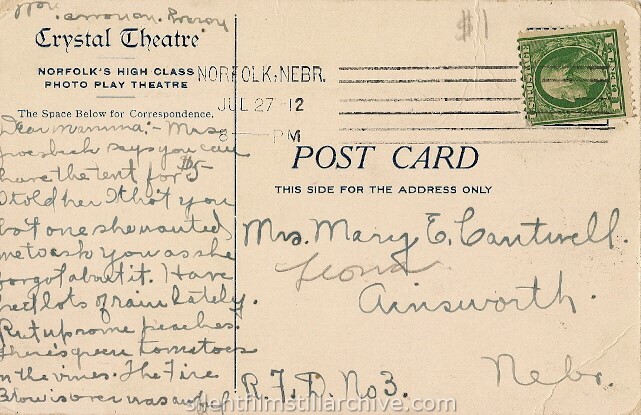 Postmarked July 27, 1912 in Norfolk Nebraska.